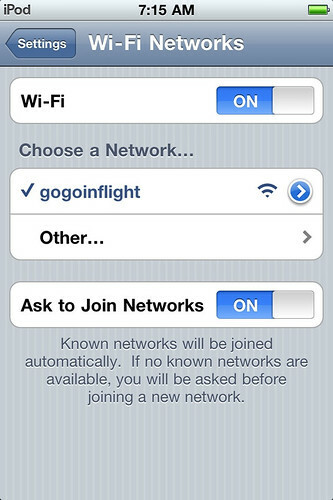 Passengers will soon be able to pay for Wi-Fi services on flights over the Atlantic and Pacific Oceans, but this will only be a real success when Gogo fixes it sometimes slow and spotty connections. Gogo is quickly laying the groundwork to bring inflight high-speed Internet service to the long-haul fleets of Delta Air Lines and other carriers operating on international routes starting in early 2013, after inking a deal with satellite operator Intelsat, the APEX editor’s blog can exclusively reveal. The multi-year, multi-transponder contract will see Gogo use Ku-band satellite capacity on Intelsat 19, Intelsat 21, Intelsat 22 and Intelsat 27 satellites, which are designed to provide high-speed connectivity for airline passengers crossing portions of the Atlantic and northern Pacific oceans, as well as routes over South America, Asia, Africa and Australia, says Gogo.